I heard about this last year, and it is finally here! 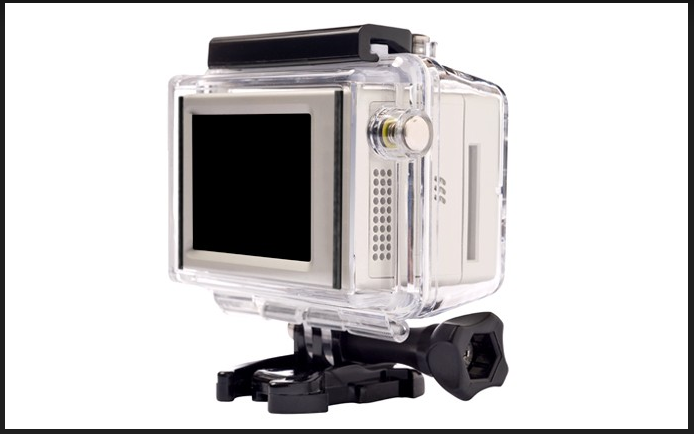 Now you can snap on a little LCD monitor to your GoPro to actually look at your shot without having to hook up an external monitor with a cable. The price is fair too. 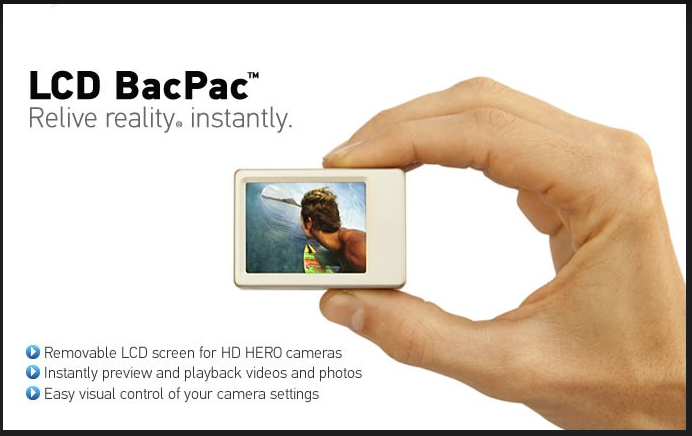 It is called the LCD BacPac. 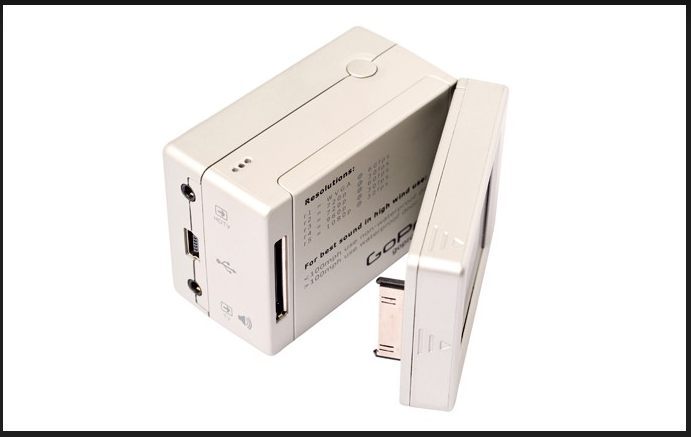 When you buy it you don’t only get the LCD you get some other goodies too.